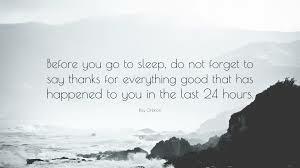 Grateful thoughts can help you get a great night's sleep. That's the message of a recent study in Applied Psychology: Health and Well-Being, led by psychology professor Nancy Digdon. In the study, writing in a gratitude journal for 15 minutes every evening helped students worry less at bedtime and sleep longer and better afterward.